Apple spent the past few days introducing newly refreshed iPads and Macs, in addition to the second generation of its AirPod wireless earbuds, but one small detail that may have been missed is the iMac Pro’s new capacity for a mindnumbing amount of RAM. How much memory is ideal for your current workload? If you think that answer might be 256GB of 2,666MHz DD4 ECC RAM, then Apple has you covered, as long as you have $5,200 to spare. With most machines offering 8GB or 16GB of RAM out of the box, it is no surprise that the new 256GB option is only on Apple’s highest-end machine, and comes in at a staggering price. 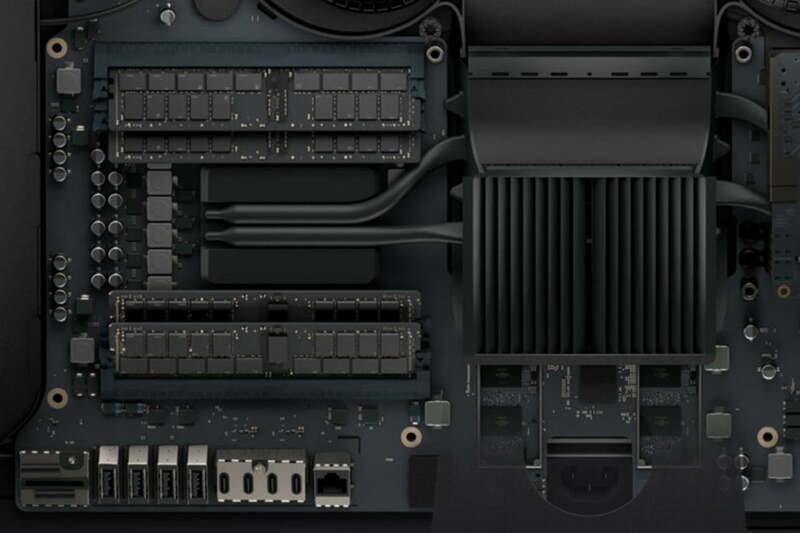 The new RAM offering for the iMac Pro is up to 32 times more than that of the typical computer sold today. Additionally, the RAM continues to feature ECC or Error-Correcting Code, which is typically found within servers, a feature that allows RAM to detect and correct forms of data corruption. While the 256GB RAM option may seem a bit ridiculous to most of us, it can be used in intense development environments. Software from Adobe’s Creative Cloud is known to handle vast amounts of RAM when given the option — a scenario that a video editor working on 8K footage from a Red Dragon camera is likely to see in their workflow. The price can cause jaws to drop, but how unreasonable is Apple being for requesting $5,200 for 256GB of RAM? When checking with a popular electronics provider, such as NewEgg, the most extensive offering it sells when it comes down to memory is 64GB DDR3 RAM, with each stick averaging around $600 to $700 for a single stick — it is worth noting that not only would you need four sticks, but not of the offerings are DD4 or offering ECC. The average person has no need for 256GB of RAM at this point, but we won’t criticize the possibility for the future; after all, wasn’t 640kB once all anyone would ever need? In the meantime, those running intensive applications now have a new option to consider when configuring their iMac Pros, let’s hope their pockets run deep enough.